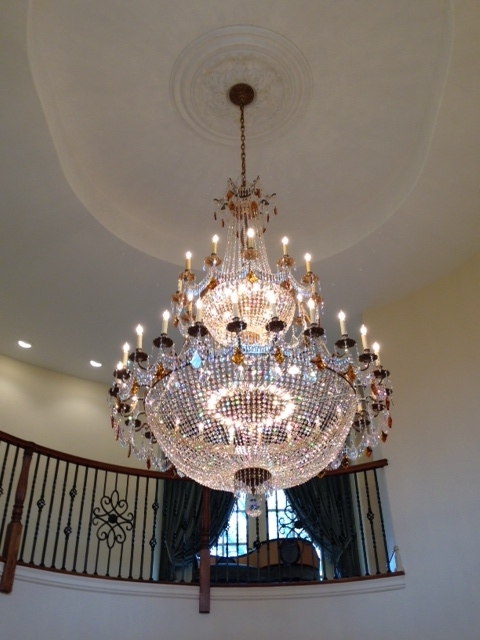 For more than two decades, Expert Lighting has established a proven track record for installing valuable and treasured chandeliers to residential and commercial clients in the New York Metro area and beyond. 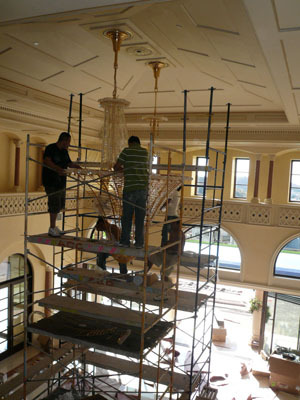 As well as chandelier installation, we offer a variety of other services, including cleaning, repair, renovation and moving. 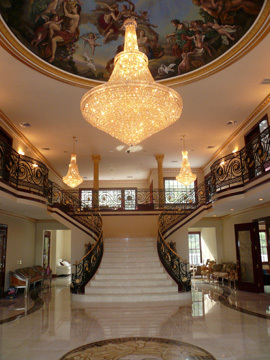 Expert Lighting has vast knowledge of large, heavy, and custom made pieces as well as delicate chandeliers such as Swarovski, Schonbek, Baccarat, Waterford, and Murano Glass. 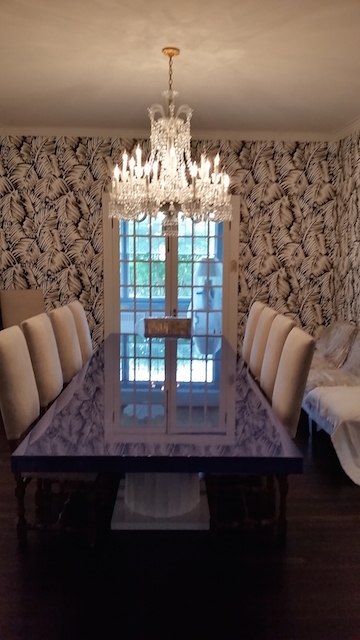 We also work on alabaster, glass and all antique pieces. 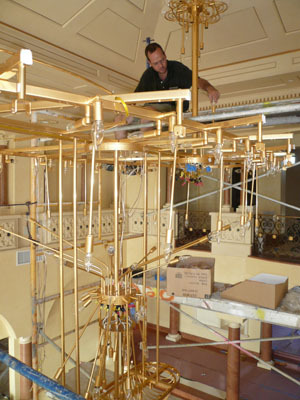 In addition, we sell and install Aladdin light lifts. 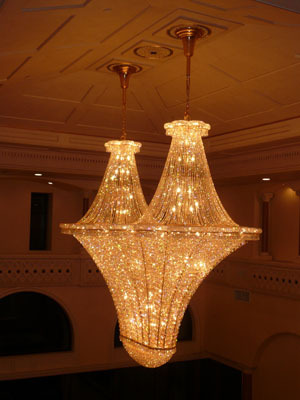 Our process is safe, efficient, highly professional, and reliable, and our technicians have the knowledge to handle all chandeliers. 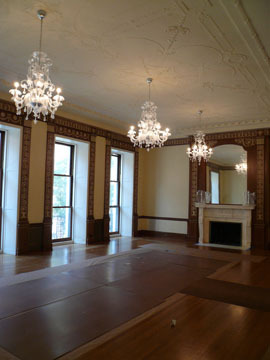 Here is an example of a recent chandelier installation carried out by Expert Lighting. 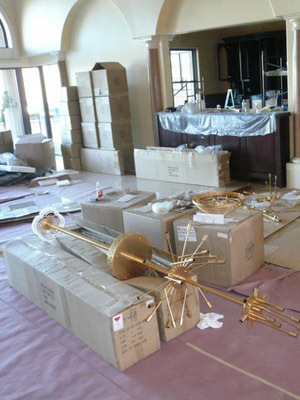 The first step was to unpack the frame safely to make sure all pieces were accounted for and in perfect condition. Then we built two 27-ft towers of scaffolds in order to construct the frame. 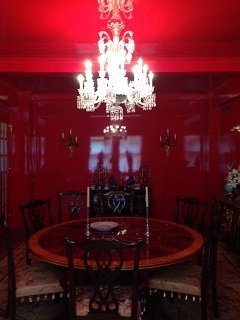 We wired the chandelier to include 194 sockets. 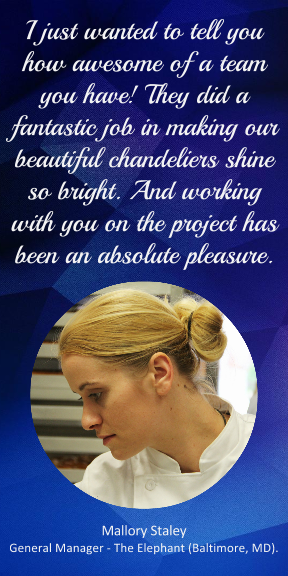 The Expert Lighting crew assembled more than 12,000 pieces of Swarovski crystal with extreme care and attention to detail. 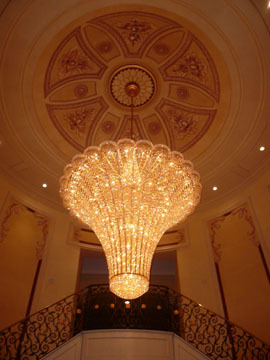 The chandelier was perfectly installed and secured on a 35-ft ceiling to the satisfaction of the customer.